So you’ve trekked down to Temecula in Riverside County and had a wonderful day in the sun sampling a myriad of local wines at the multitude of wineries that line the valley and now you want to kick back someplace and cap the day with a Martini and a steak. I have a suggestion for you, The Gambling Cowboy Chophouse and Saloon! It is located on 5th street in “Old Town” Temecula, just off Interstate 15. It is just off the street on the third floor of a rustic building that looks a lot like an old barn. The inside of the restaurant is spacious, warm, and inviting. The decor is, exactly as you would expect…. a cowboy saloon. I will note one feature that I really like …. their etched glass panel cutting through the dining hall. It is beautiful. Sadly its also a bit of a challenge to photograph. You’ll have to enhance the photo with your imagination … or go take a look! The food is indeed very good with a definite emphasis on, as you might guess, steaks. But there are also seafood and chicken choices as well an assortment of salads. Their Martinis are also very good: well chilled, ample, and served quickly. After a day in the sun their Martini was very much needed and hit the spot perfectly. The Martini stem the Gambling Cowboy uses is a bit unusual, as you can see in the photo above. Those of you who know me would expect me to blast this based on my prior posts such as Thoughts on Stemware, Part Three and To Stem or Not to Stem. But this one I sort of like. Certainly not traditional but, more importantly, it is not trendy. Overall the Gambling Cowboy gets one stem for its very good Martini that is most welcome after a hot day in Temecula! For Gin selection The Gambling Cowboy only gets a C. Their selection includes the “Big 5” as I like to call it: Tanqueray, Tanqueray Ten, Bombay, Bombay Sapphire, Hendricks and also Beefeater. 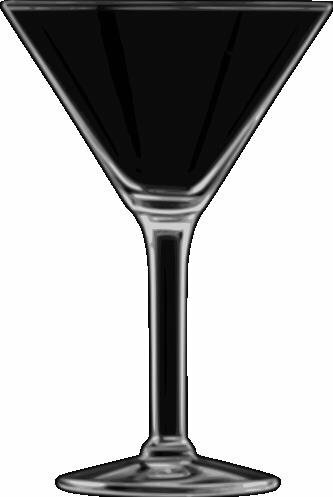 Over the course of the almost two years that I’ve been writing this blog I’ve posted many random martini quotes, several reviews of restaurant and bars, made opinionated comments about stemware, and expounded on my pet peeves. And, of course, I’ve also written extensively on what I believe makes a great Martini. But these “How To” posts are scattered throughout this website and are hard to find. No Longer! Here, finally, is a compendium of links to the “How To” articles of Martini Making. These describe my thoughts and beliefs of making the “Perfect Martini”. Or to be most precise, my perfect martini. The posts describe more than just the recipe and process of assembling the finest cocktail, but give some of the technical background of ‘what’ and ‘why’. So here below for the first time are assembled the heart of Martini Magic….. This link will help you find the answer to the age old question that keeps us awake at nights …. is Shaken really better than Stirred? And why? Shaken vs. Stirred Revisited: Conclusion. Are there really differences between Shaking and Stirring??? Yes! And here are the two most significant differences. Shaken vs. Stirred Revisited: Temperature. Finally, does Shaking taste better? Read below to find out. Cold Ice is critical to making the perfect Martini. If you’re confused about the difference between warm and cold ice, check this out. Of course a great Martini needs a suitable container from which to sip this marvelous beverage. Here are a few thoughts on stemware. As always, comments are very welcome. Please let me know what you think especially if you disagree with my comments.